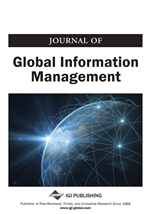 This article presents an interpretive analysis of the key problems and challenges to technology implementation in developing countries, based on a three-year case analysis of an IT project in a city government in Ukraine. We employ the concept of technological frames of reference as an analytical tool for articulating the group-level structures related to the implementation context from the perspectives of key stakeholders and examine the degree of conflict between these frames using a Fishbone diagram. We report that conflict between technological frames held by key stakeholders in large-scale system implementation projects often create an unexpected, dysfunctional, and politically charged implementation environment, ultimately leading to project failures, even if the project enjoys a high level of financial and management support. This, in turn, creates unique challenges for technology implementation projects in developing countries that are often overlooked in the traditional academic and practitioner literatures based on experiences from developed countries.